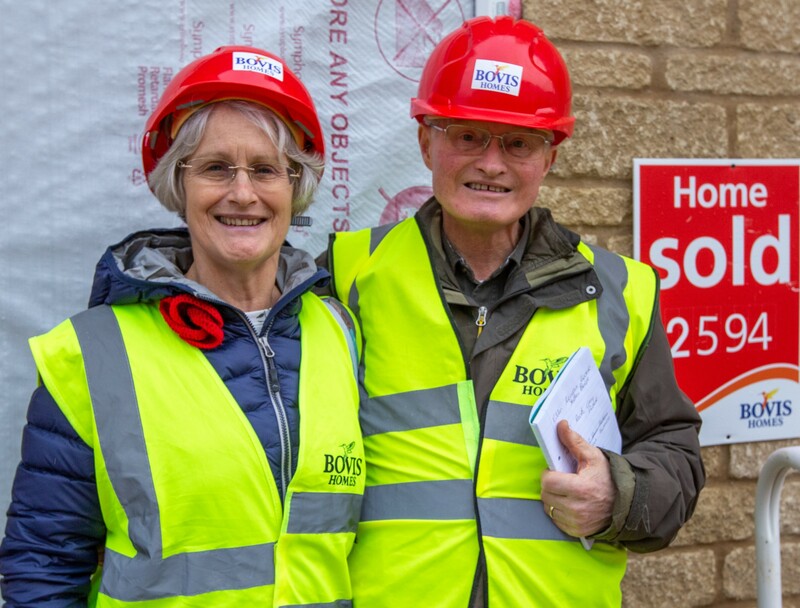 The surprised pair can now enjoy an even better festive period as they wait to move into their new three-bedroom property before the New Year. Nicola said: “Winning these Tesco vouchers was a complete surprise. We’re a couple that never wins anything and we were convinced we wouldn’t win this! The duo took a tour of their home, which is currently under construction, and even spray painted their bricks, to mark the occasion. They are moving from a new-build, semi-detached property off Leckhampton Road, in Cheltenham, and are looking forward to living in a slightly bigger home, with open-plan kitchen/dining area, plus a larger sitting room. 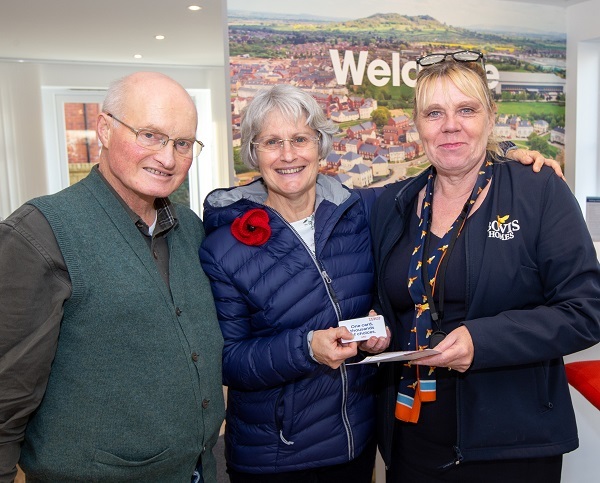 Nicola, a former Cheltenham Ladies’ College pupil, said new-build homes suited the couple as they had modern, comfortable features to rely on. “We very much like the stone render and the two bay windows in our new Bovis Home,” Nicola said. “We have a bigger kitchen and dining area, plus a larger sitting room. We’ve got all the new mod cons and everything is all up-to-date, just as we like it. After school in Cheltenham, Nicola relocated to London to embark on a career in publishing and came back to Gloucestershire in the late 1980s. She married Ted, a farmer, in 2004 and they moved to their current home two years later. Nicola’s 91-year-old father lives in Painswick and she has always felt drawn to the county. She enjoyed a 22-year career, which included working in PR, marketing and advertising for companies such as Cheltenham-based educational publishing firm Nelson Thornes, which became part of Oxford University Press. But her most satisfying job was to support people with mental health difficulties get into employment by opening doors with local businesses. Ted ran The Carpenters Arms in Miserden, near Birdlip, for four years and is looking forward to relaxing in his new home, where they’ll be visited frequently by friends and family, and will be joined by Alfie, the couple’s three-year-old working cocker spaniel.